Many cryptocurrencies seem to be responding to the latest market rebound. Price of Ripple (XRP) went up 20% and recorded significant gains as the wider digital currency market showed a strong comeback. 97 out of the 100 major digital currencies recorded significant gains against the dollar as major exchanges maintained the post-tax surge. Bitcoin (BTC) surpassed the $8,500 mark and entered the $9,000 bracket. Ripple was the largest gainer, rising more than 20% in the Friday intraday trading session. Just last week, ThinkMarkets chief market analyst Naeem Aslam had predicted that Ripple will go up in response to increasing positivity and confidence in the larger cryptocurrency market. An increase in confidence has seen an increase in the adoption of digital currencies around the world. The market’s leading crypto, Bitcoin trailed the day’s index on Friday. However, a surge in the early morning trading pushed it beyond the $8,500 mark to settle at $8,514. The currency currently has a market cap of $144.5 billion representing a 3% rise in just three hours. According to analysts, the latest movements in the digital currency market had been caused by the end of the tax season in the U.S. According to Sebastião Coelho, the CMO at Flashmoni, many investors withdrew their investments from cryptocurrencies to either pay for their taxes or because they were not sure of the future market movements and decided to put their money into other investments. The recent price movement is also in line with the recent predictions given by Pantera Capital and Fundstrat Global Advisors, both of which had projected that a drop in tax-motivated selling will offset a Bitcoin price surge in the short-term and lead to a new high by the end of 2018. Importantly, Bitcoin has seen a drop in its dominance to 38.7%. This is its lowest level since February. Ripple is currently trading at $0.07 with its all-time high at $3.30. This represents a growth of 5.44 times compared to Bitcoin which has had a growth of between 1 and 1.5 times. 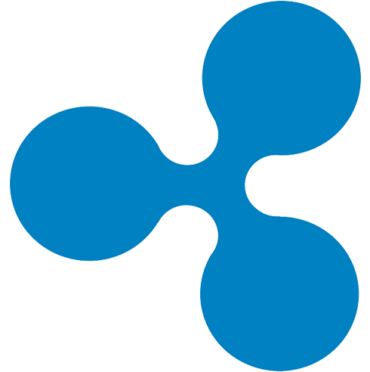 The strong results posted by Ripple have been attributed to the U.S. tax season which caused fear among investors. According to Coelho, many investors will find XRP to be a good investment opportunity as digital assets increase. He says that XRP is priced below other leading digital currencies which could lead to it easily bouncing back from a recess compared to other cryptocurrencies whose prices are rigid. CoinMarketCap shared that XRP reached $0.8768. The gain, according to media reports, was caused by the fact that many investors had information that Binance was going to allow its customers to buy digital currencies using fiat currencies. Binance refuted these claims.